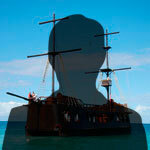 Bring the whole family, especially the kiddies, to our Caribbean Pirate Show! This afternoon family activity on the open sea is great entertainment for everyone! Arrive to our pirate village and hang out with the pirates before embarking on the Hispañola, our replica 16th century galleon. 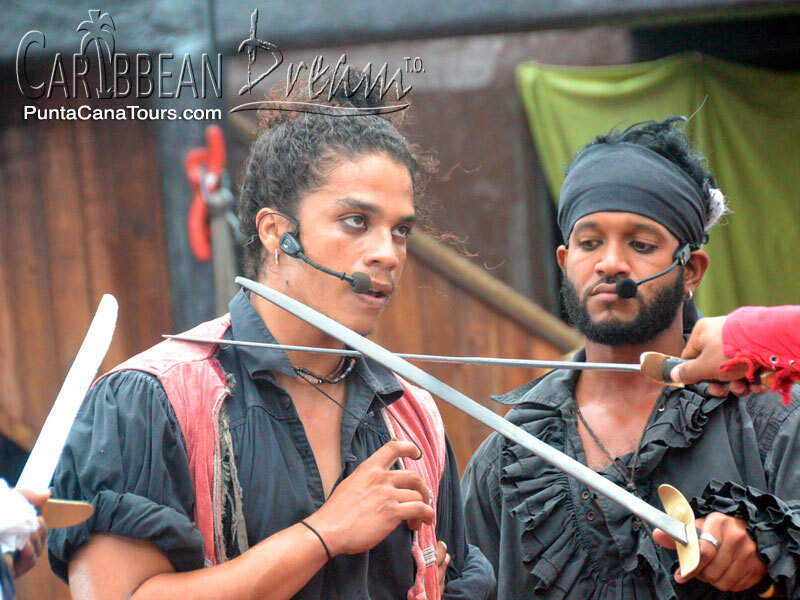 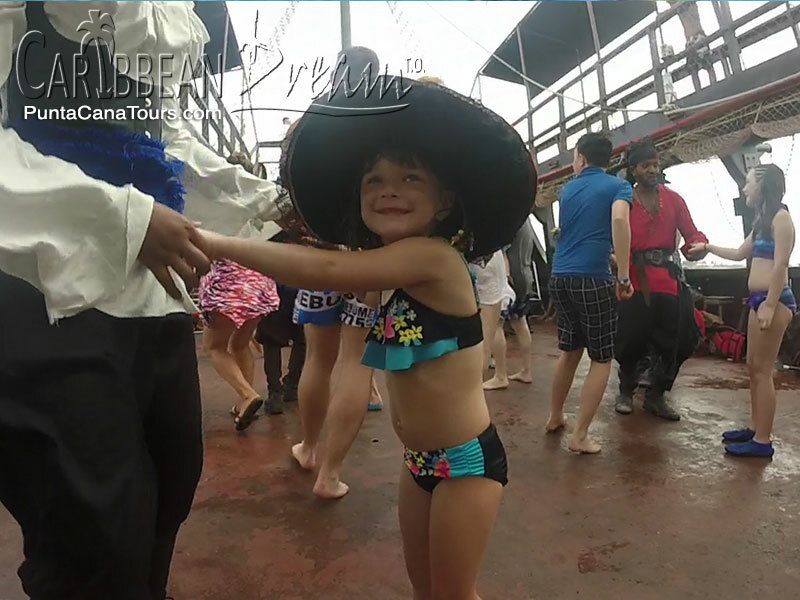 Our cast sets the scene for the entire voyage, giving our guests tips to avoid the dangers of the open waters. 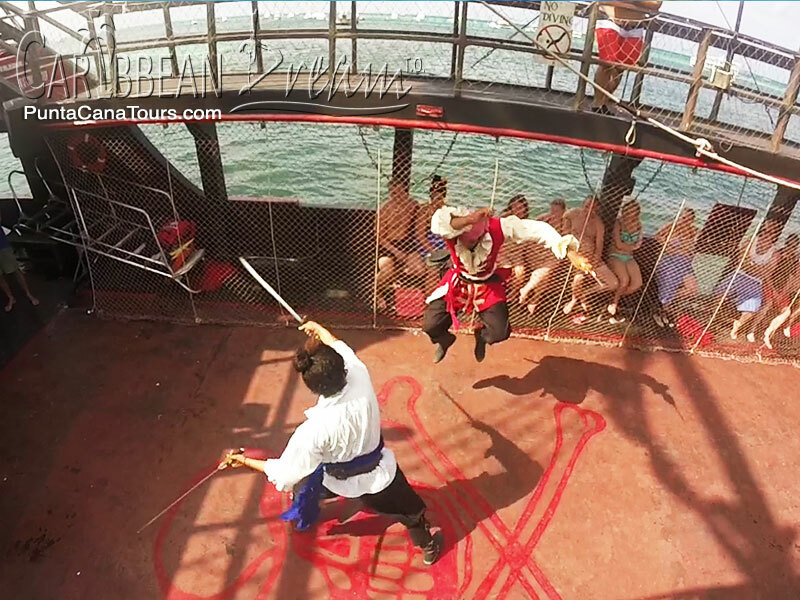 Once you board, enjoy a theatrical performance of dancing and fighting right in front of your eyes on the ship’s main deck – and take the opportunity to participate! When our boat reaches the tropical reef, get your snorkeling gear on for an up close look at an aquatic wonderland of tropical fish. 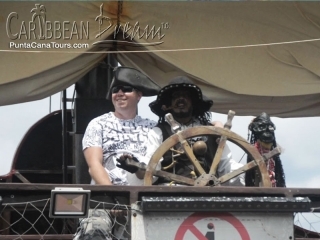 Afterwards, you’ll enjoy some fresh fruit, soda and water while we continue our sail to our next event! 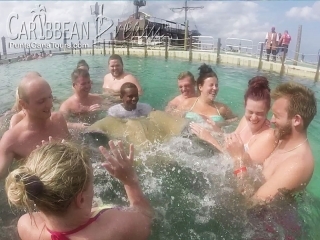 Get your adrenaline pumping in our huge sea pen situated in the middle of the ocean, by swimming with nurse sharks and stingrays. 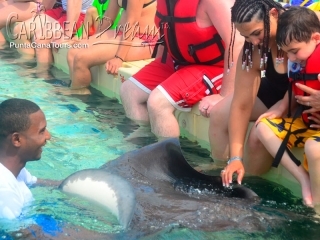 During the interaction you'll learn interesting facts about these docile animals as you pet them on their back and on their belly, in waist deep water, on our comfortable stingray interaction platform. 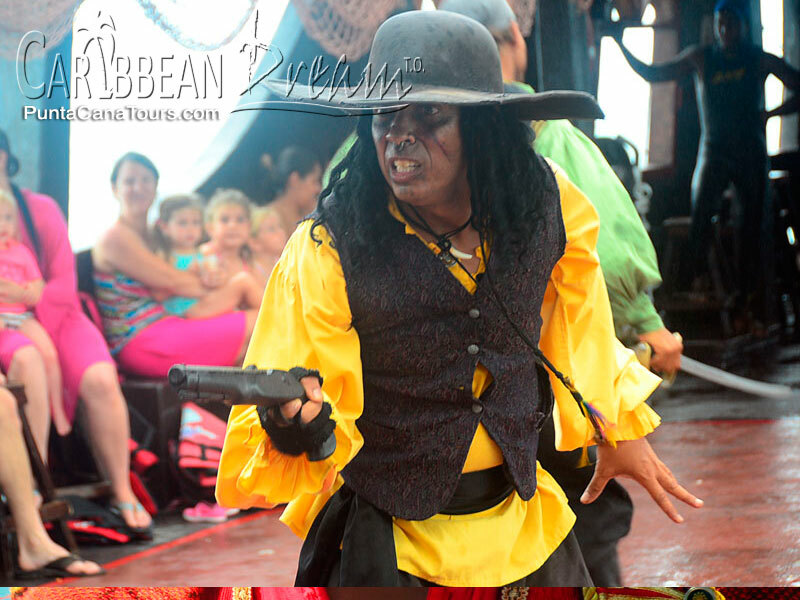 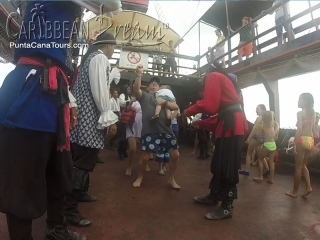 While you enjoy a light snack and refreshments, continue watching the interactive Pirate Show as we cruise the shoreline. 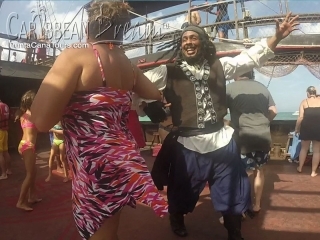 Let loose and enjoy the festivities as we strive to make every participant a full-fledged Caribbean pirate before day’s end! 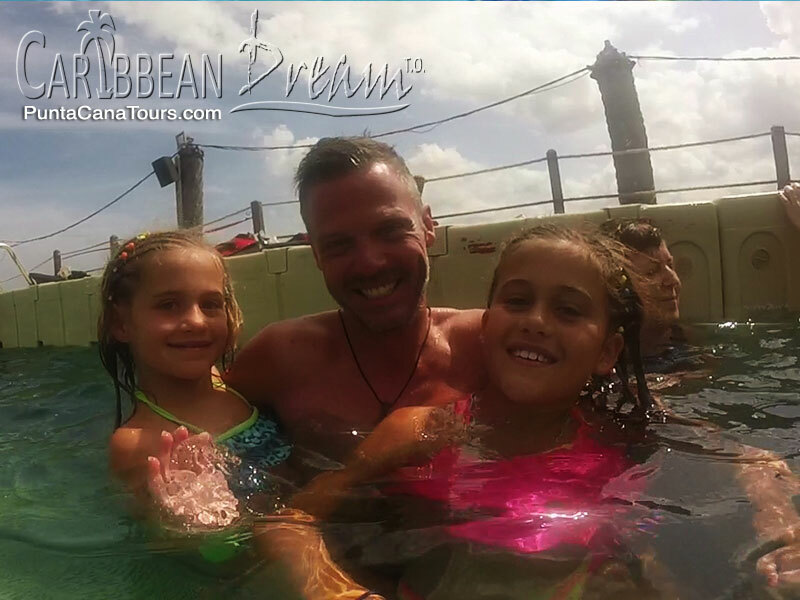 If your hotel is in Cap Cana, please select either a Monday, Wednesday or Saturday. 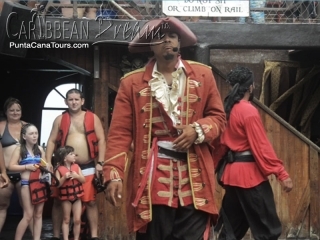 This price is for 12 years old and above. This price is for 11 years old and below. 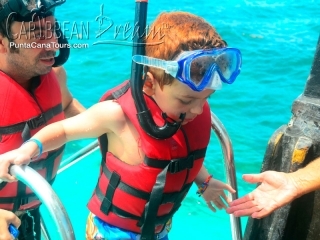 Santo Domingo tour and Speed Boat-Snorkling Excursion...Great Experience!